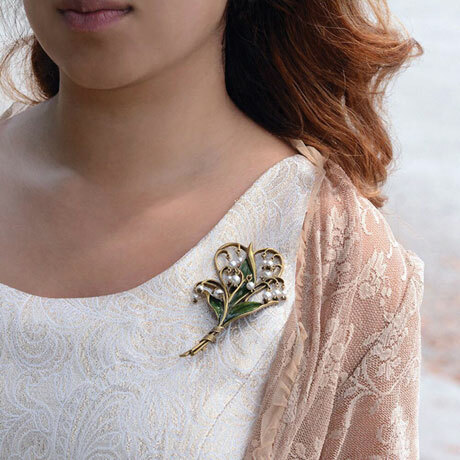 For a coat, a bag, or a sturdy lapel: a grandly oversized pin, as elaborate as the ones our grandmothers proudly wore. 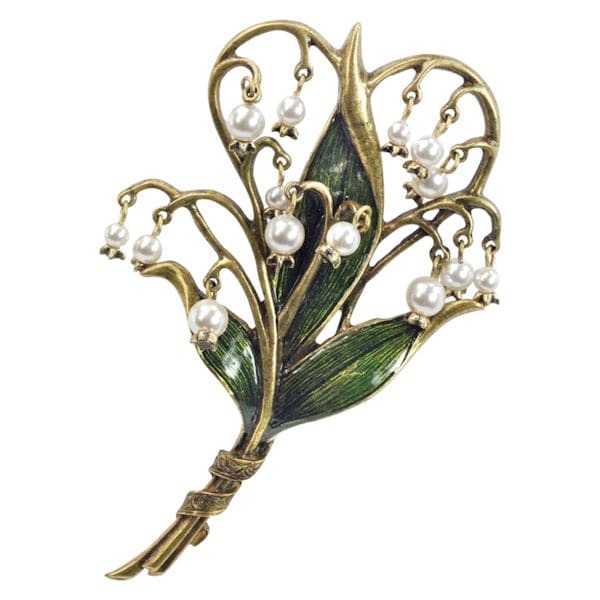 The insides of the curling leaves are enameled in green, and the stems dangle 14 tiny cultured seed pearls. Metal with a bronzed finish, pin has a locking back. 2 ½" x 4".